Donegal Junior Strings Orchestra – sounding great! About eighty young musicians from Donegal and Carlow will join together for the grand finale of the ‘Orchestras!’ concert at the Regional Culture Centre in Letterkenny on Saturday evening (13th). They’ll play three pieces to finish what promises to be an entertaining concert featuring the highly-rated Donegal Youth Orchestra and their special guests, Carlow Youth Orchestra. The concert starts at 5pm. The pieces are a medley from Les Misérables, the rousing Highland Cathedral and the classic Irish song Mo Ghile Mear. Sharing conducting duties at the concert will be Majella Swan, founder of the Carlow School of Music, and the well-known conductor and composer Vincent Kennedy. Vincent has been conducting the Donegal Youth Orchestra for more than ten years. 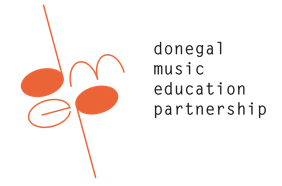 The concert is being organised by the Donegal Music Education Partnership, which runs the Donegal Youth Orchestra. It’s part of the Donegal Education and Training Board. Martin McGinley, the DMEP’s music manager, said it will be great to see so much young musical talent on the stage of the Regional Cultural Centre once again. 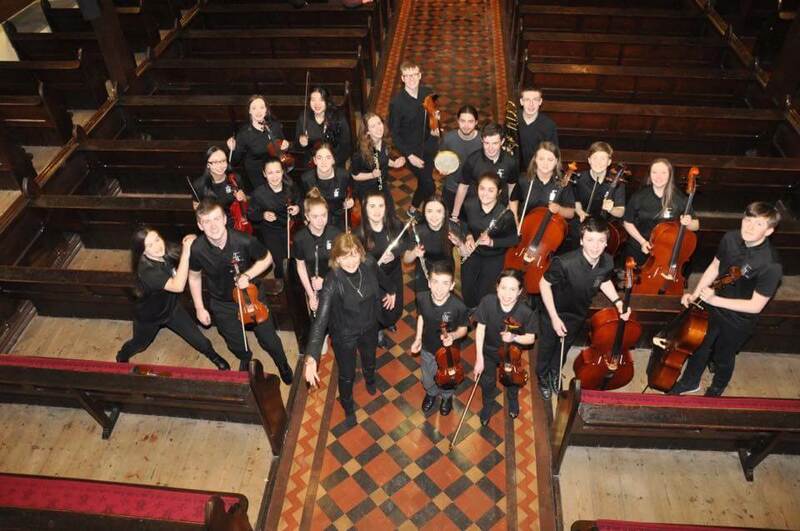 Donegal and Carlow have two of the leading youth orchestras in the country. The DYO topped the bill at the Festival of Irish Youth Orchestras in the National Concert Hall in Dublin last year. Carlow have also been regular performers at the festival, and have toured in Europe. The concert will feature classical favourites, from the Can Can to Hungarian Dance by Brahms, as well as film music, such as the theme from Pirates of the Caribbean. Both orchestras have Beatles’ songs on their programme – Carlow have lined up When I’m 64 and Imagine, while for Donegal it’s Eleanor Rigby and Yesterday. Donegal will be the visitors when they travel to Carlow in two weeks’ time for a concert on Sunday 28th. Tickets for Saturday’s concert in the RCC are €10 / €5 (concession)/ €20 (family – 2 + 2). Booking information on the DMEP Facebook page or just phone An Grianán theatre box office on 07491 20777. Payment will also be taken at the door.